In the early days of British punk, Ana da Silva formed experimental band the Raincoats with art school pal Gina Birch. Later enhanced by former Slits’ drummer Paloma “Palmolive” Romero and classically trained violinist Vicky Aspinall, the Raincoats challenged traditional song structures to reflect the conflicting moods and tempos of the lives they led. 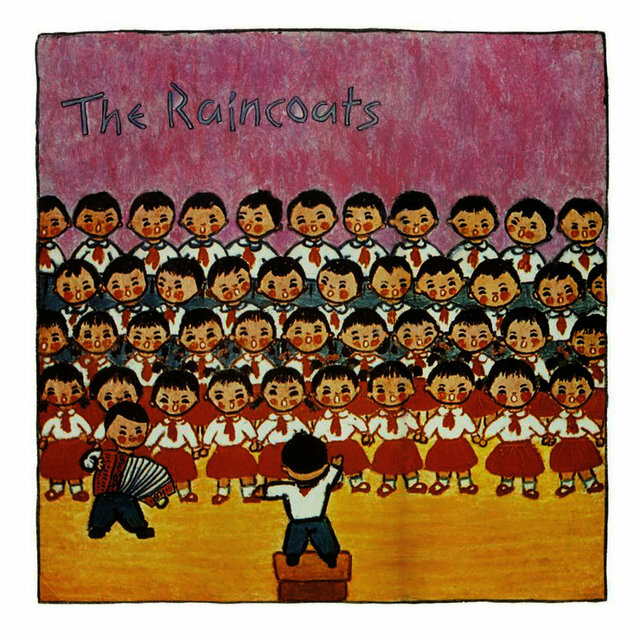 While hailed as heroes in the canon of underground, feminist punk, the Raincoats have been somewhat overlooked by rock historians. 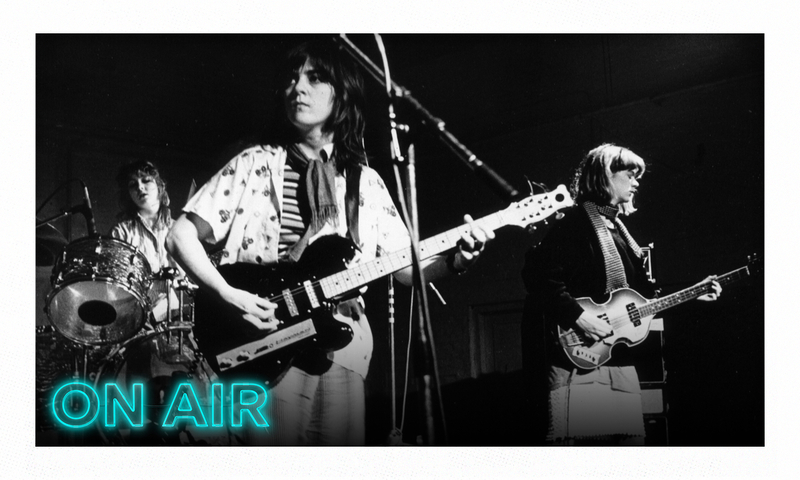 Illuminating the Raincoats’ body of work as “a celebration of the female interior life,” author Jenn Pelly profiles the band and cements its legacy in her book The Raincoats. In this episode, da Silva describes growing up in fascist-era Portugal, obsessing over modular synths, and influencing riot grrrls and “riot boy” Kurt Cobain. On growing up feminist… When I was growing up, my experience at home was that my parents were equal to each other. My mother completely believed in voting. Which might seem a bit silly these days, but in those days, it was not such a taken for granted thing. I had heard of feminism, and I could not see why women couldn’t do exactly the same as men. It wasn’t really in my mind that you couldn’t do it. Maybe it was in my mind that I couldn’t do it, because maybe I didn’t think I was good enough. But I didn’t see why women couldn’t do things. On what did and didn’t inspire her to play music… The thing that inspired us to start a band was the punk idea that you didn’t really need to know how to play very well. You just had to have something to say and the energy to do it. Seeing the Slits play made it a bit more on our level than the other bands that we had known, a mythical figures kind of thing. The Slits didn’t know exactly what they were doing, but they had so much to say just by being there. I loved Joan Baez and Joni Mitchell, but it was a different thing. I didn’t think I could ever do that. And it was just by starting the band and thinking, ‘Well, we haven’t got any songs. Oh well, I’ll try to write a song.’ I didn’t know where it was all going to go. It was just a question of doing it and finding out that, actually, this is OK. I love Patti Smith, but I never thought I could be like her. That didn’t inspire me to do my thing. Of course she was inspirational, but I didn’t think, ‘Oh, I’m gonna be like her.’ I didn’t have the self-confidence for that. On inspiring others… When we found out that you riot grrrls had been so inspired by what we were doing, it just made me feel like everything had been worth doing. But before that, I wasn’t so sure. I thought the people who had bought our records at the start had them on their shelves and probably didn’t listen to them anymore. Then we found out that there was a hunger for some of our songs that weren’t available. And you were all giving tapes to each other with our songs on them and kind of relating to it and being inspired by it. It was one of the happiest things of my life really. On being ‘discovered’ by Kurt Cobain… Kurt was the most famous riot boy, he was on Geffen and he liked us. A lot of people knew Nirvana and read his lists of his favorite music and stuff. That’s how a lot of people discovered us. People still sometimes say, ‘I found out about you through Kurt Cobain.’ But he didn’t discover us. We were there. On navigating the music business… We didn’t know anything about the music business. Our tours didn’t actually make money; we lost money. I had a big row at Rough Trade because suddenly there’s some person there saying, ‘Oh, we have to take money off the royalties of your record because you lost money on the tour.’ I was livid and threw a chair at somebody, and probably said a few words that aren’t nice to repeat on a podcast. On meeting Kurt Cobain… He went to Rough Trade and asked if they still had our album. Our album wasn’t available anymore, and there was no repressing or anything. So they said, ‘No, but Ana works up the road if you want to go meet her and ask if she’s got a copy.’ I didn’t have one, but somebody else from Rough Trade had a spare copy. So I wrote all these things, stuck some lyrics from a booklet that I made on it, and got everybody else to sign the inner sleeve. He was really happy with that. He was being really shy and said, ‘Ah, when I listen to your music, I fall on the floor’ or something like that. I thought, these crazy Americans.